One Halloween is not enough for Butte. Come sing, dance, eat, drink, and be scary. 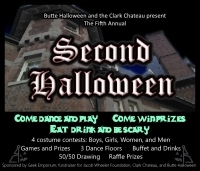 We will have four costume contests: Boys, Girls, Men, Women. We will have food, drink, and candy. A bar for the adults and a coloring contest for the kids. Games with prizes. 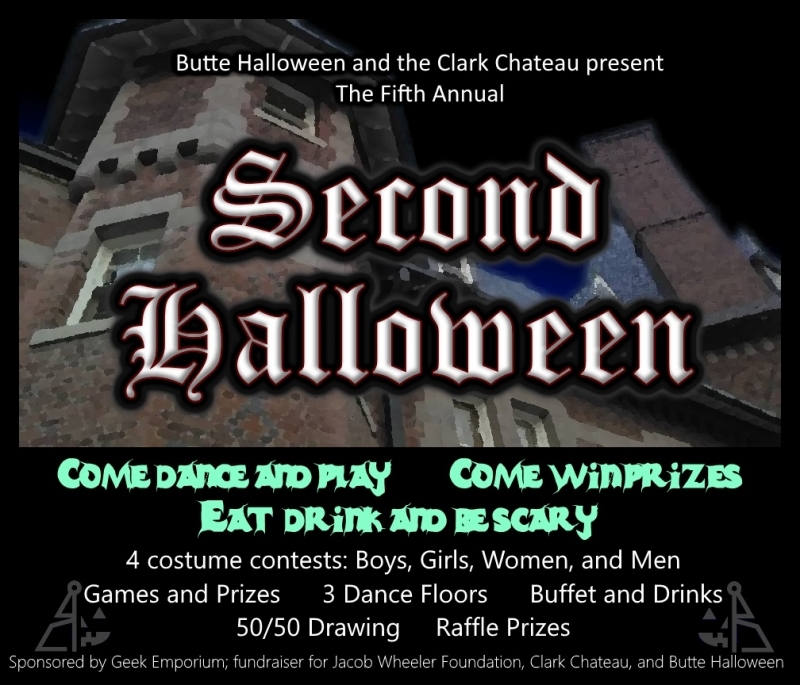 Come support The Clark Chateau, the Jacob Wheeler Foundation, and Butte Halloween.